For more than ten years, BSG Wireless has been providing services that range from connection and hotspot clients to network interconnection services including data and financial clearing. At BSG Wireless, we also help some of the world’s leading wireless operators manage their global wireless roaming footprint, location directories, payment gateway and credential issuance systems to ensure a reliable, secure and seamless customer experience. 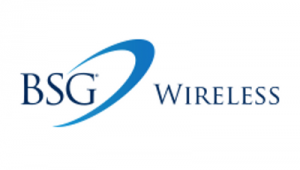 BSG Wireless is a leader in the Wi-Fi industry and a major contributor to the Wireless Broadband Alliance, collaborating and leading a multitude of projects to enhance the Wi-Fi solutions across the globe. Through innovative development and understanding the Wi-Fi space and technological capabilities, we strive to help operators provide the quality of experience that the growing number of users across the globe expect. Arrange a meeting? Interested in the services of BSG Wireless? We'll bring you in touch with BSG Wireless via the form below.